My wishlist is going to be quite shorter than the previous months - I'm currently doing my best to see just how much makeup I have and classify it but there's just too much, it seems to be never ending ! I'm not saying I'm going to get rid of even an ounce of mineral eyeshadow but I realize day after day I have really nice things that I'd like to talk about so I don't need any more makeup for the moment. 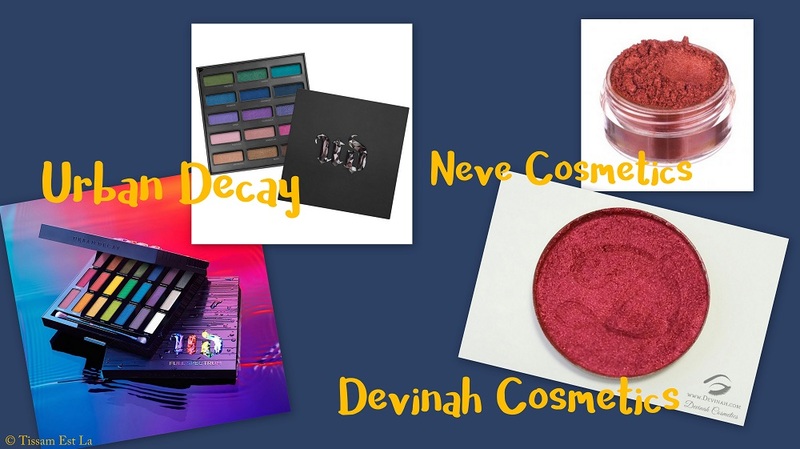 Maybe you've seen it in my Neve Cosmetics haul on Minéral Makeup, I've become a sucker for the brand Neve Cosmetics in a very short time. I haven't as of yet bought or tried any of their lipsticks but as soon as I can, I'll get at least the shades Chocolate Eclair, Sakura Mochi and Plum Cake. The quest for the perfect liquid matte lipstick is neverending and I'd really like to try out these wonderful muted OPV shades. 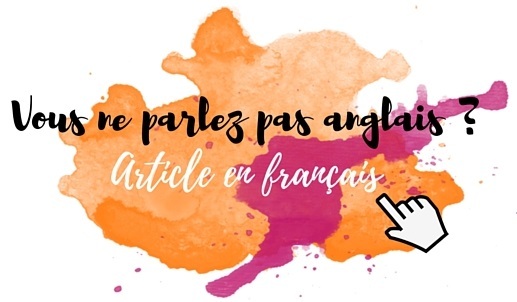 Get a L'Occitane scent I love, Néroli and Orchidée, printed on my lips ? I have to go and smell this one in a L'Occitane store - and get it afterwards. L'Occitane Néroli and Orchidée Lipgloss, €8 available on the French website. 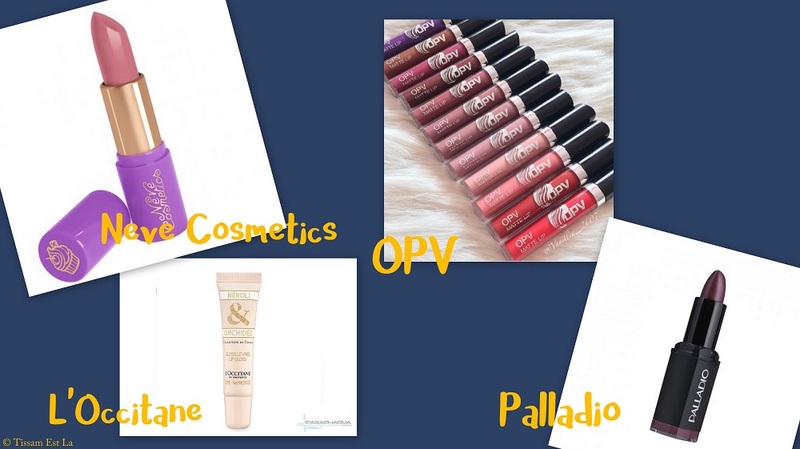 The brand Palladio has been added to a long list of brands on Maquillalia a few days ago. A brand that has a few matte lipsticks that I'd love to try : Plum Majesty, Royal Rum and Velvet Wine. I've seen that Urban Decay is releasing their new Full Spectrum eyeshadow palette end of October - I can't wait, I want it. Why not add the Spectrum eyeshadow palette to it, that I've been wanting since its release last year ? Urban Decay, Spectrum Palette, €53. Urban Decay, Full Spectrum Palette, $58. Neve Cosmetics Loose Eyeshadow, €7.90. Devinah Cosmetics is a bit older than one year and their eyeshadows look stunning - extremely pigmented refills that also hold a few red shades among them. I can't wait to try them out and tell you all about them - such a brand must be more famous ! Devinah Cosmetics Refill Eyeshadows, $5. 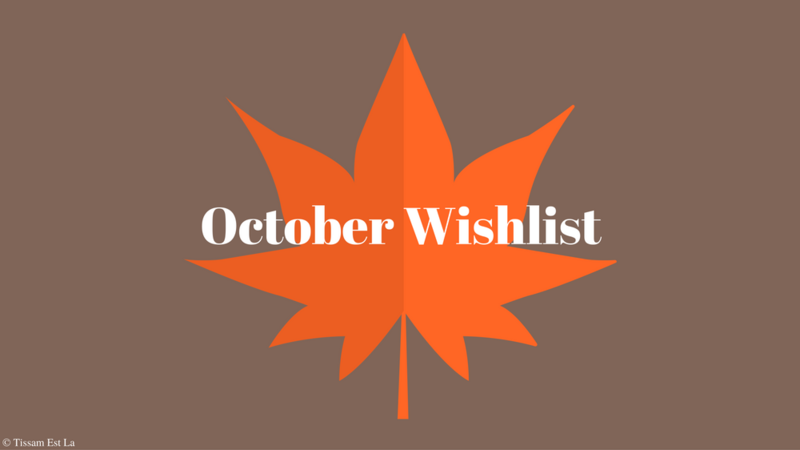 What are your own wishlist products this month ? Do you know some of the things I want ? Mo' interesting stuff on Tissam Est Là !